It’s a long story but really worth the remembrance, for the kids to keep in memory when they grow up. It was Sunday, 10 December 2017 at around 7am. The boys asked my permission to go out and play at the nearby park. Just like any other days, I let them go. Not long after, I heard their screaming while running back home hysterically. They were chased by bees! Both of them!! I was panic but tried my very best to keep calm as I had the quick worst visualization about what a bee sting can cause to human body. There were few of bees still stick on Max body that I had to dodge it off with whatever thing but my hand (it was a slippers nearby me). I quickly bring them in, close the door, worried there might be bees still chasing them. Inside the house I quickly stripped them off, then run them a quick shower to clean their body and at the same time to look for every stings they’ve got and make sure there are no stingers left behind. That was when my heart felt like stopping. There were just lots of stings!! Then I was preparing myself to get ready for the worst. Some of them had minor bleeding. In the midst of screaming, crying and nagging I made myself available for a phone call to my mom and my sister, then Daddy. As first aid, I quickly applied tooth paste onto the sting sites. Until my sister came by and brought us Indonesian traditional bees oil (Minyak Tawon), then I applied it onto the sting sites. As they started to complain about the pain, I decided to give them a dose of paracetamol, imagining how painful it must have been. Having Daddy be in Singapore while all these happened, I was lucky to have my mom, my sister and brother as super helpful as they can be, thank God!! For them being presented at that very moment meant everything to me. However, Daddy was kept us live on Skype for every details and updates with the boys. The day felt so slow and depressing. Few hours later, around 10am we felt the urge to bring Max&Zac to see doctor. I remembered I was telling myself that I’m not in the position to avoid doctor, because this was my first experience with bee stings, lots of stings! However when the doctor advised us to get the boys in wards for 24 hours observation, I felt hesitated to do so. My brother in-law assured me to bring the boys home instead. Plus I’m not sure hospital will make my boys get better. They will get injected for IV for sure, and hospital felt so depressing, not only for the boys but for me too! So no to in wards. And I’m now glad to say that we did the right thing! So the doctor prescribed 3 things: immune booster, small dosages of steroids and paracetamol, all in syrup. Max&Zac got a good sleep inside the car on our way back home, perhaps the engine static movement soothed them. They got their first dose of medication the moment we reached home, it made them dozed off few moments after. Meanwhile I took the moment to start digging for information online about bee stings. Little that I knew, it was not bees that stung them, it was a bald-faced hornet. The main characteristic of this hornet is that they don’t have yellow stripes. I recognized them as I scrapped some from Max’s body earlier. 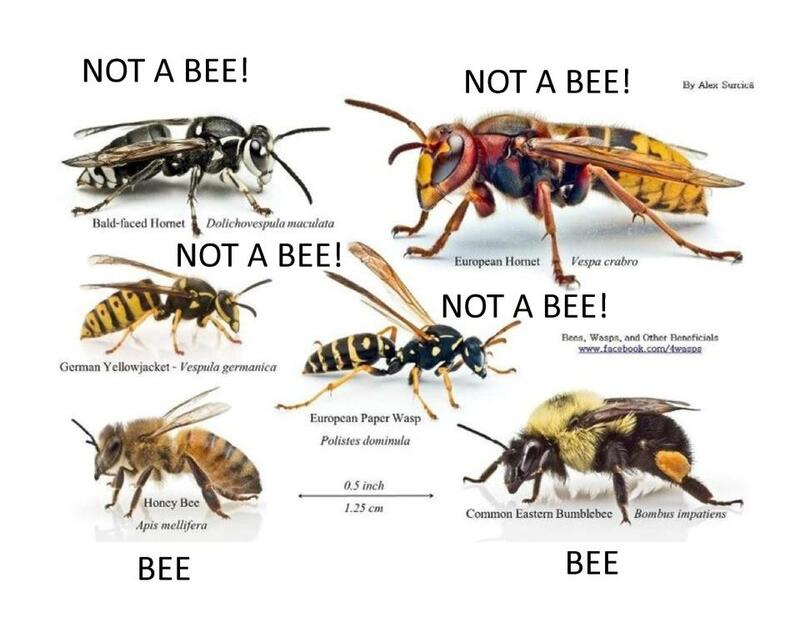 However, bee, wasp and hornet give the similar effects of stings. It was around 1pm when Zac started to show reddening and swelling on his sting sites. It’s getting warmer too around the swells, I have to wrap them with cold cloths to keep him comfortable. Meanwhile Max’s sting sites showing nothing. He did say dizziness and pain, but no reddening or swelling. I kept telling them to fight! fight! and fight! He asked me to always stay beside him, scared there will be bees coming back. He must have really shocked over the stungs. I woke them up for lunch. Zac was having mild feverish then, but still eating well, Max was still fighting and struggling over the chills inside his body but still eating well too, thank God! He was really all out on fighting them off! My in-laws family came the moment after. It made me feel very well supported. I felt heart-lifted. The most thing I need at that particular moment! It was 4 pm when everyone was get off. Max was vomiting, as if his whole stomach spilled out. I always remember that Max always has this reaction over bad stuffs inside his body, like it was his body mechanisms of detoxification. And I was right! Soon after he vomited the second time in about an hour later, then he was alright! No pain, no dizziness, still no swelling or reddening. My Supermax was back!!! Meanwhile Zac still showing reddening and swelling, plus itching on his sting sites. And these stay on until the next day. I really don’t remember Zac complaining about pain or dizziness. But I suspected he felt the heat, because he kept asking for showering, I got him showered 3 times that whole afternoon. Anything to keep him feel comfortable! My mom stayed for the night, just in case something happened, in which nothing had happened, thank God! The boys slept very well after their second dose of medication. I still have to wrap Zac sting sites to keep it cool. I was slept like a baby too that night. It was a very long and super exhausting day. But I woke up felt relieved having my boys all sound and well. They’re really back!! The house were finally get messed by toys scattered everywhere, and I never thought that I missed it so much! Friends from Pijar were here to visit and check on our condition. Max was very happy to have his friends around. Big hug for them!! Amazingly, Max ended up the one having mild stung effects, whereas Zac still having the reddening, swelling and itching on the sting sites. But both are super active like usual. And I’m a super proud mommy, having my superboys! I realized now how important it is to keep their antibodies trained to fight and protect their own body. Three things came into me: Breastfeeding, superfoods, and antibiotics. Three things that I always fully concern and control over in regards with my kids immune system. Of course Allah blessings must have things to do about this too. We’re indeed blessed!! Previous Art Turns. World Turns.